The Kills, one of our favorite glamorously skuzzy blues-rock duos, are crossing the pond for another tour. In support of their upcoming fourth album, Blood Pressures (out April 4th), the London pair will traverse Europe and the United States in the spring. They’re slated for one New York show at Terminal 5 on April 29; tickets are currently available on presale, with regular sale beginning on Friday. The Kills haven’t crossed the pond for us in awhile, though their Coachella 2005 set in California is still the stuff of breathlessly blogged legend. Mosshart is currently on break from her other six-string paramour, Jack White; their group together, the Dead Weather, released the excellently heavy Sea of Cowards last year. 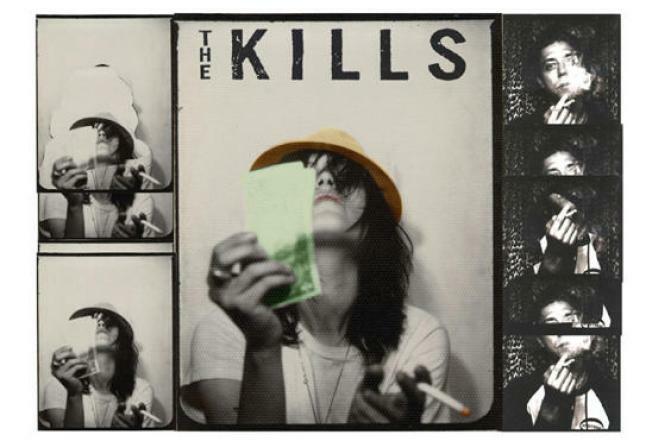 Kills shows are a kinetic thing, with singer Alison “VV” Mosshart and guitarist Jamie Hince growling in feral angst and flailing their bodies full-speed into each other. They defy logic, not to mention all else that should be defied.